A cat watches me walk back to my house against the wind. I look at the white bag choked around the rim of the trashcan. It’s full. I put my backpack down, undo the knot, and pull up the bag. I walk to the street and open the lid of the bin. I look inside. Someone once told me to be careful when I open the lids of trash bins because rats sometimes feed on leftovers inside. I drop the bag into the empty bin and close the lid. “Did you eat?” my friend asks back inside. I fill a pot with water and put it on the stove. I pull a packet of noodles from a drawer, tear the packet, and empty the noodles into the pot. We watch the noodles unfold. She opens the fridge and pulls out two eggs. I open another packet of noodles and empty them into the pot. She cracks the eggs and lets the yolks spill onto the pan. I stir the noodles in the pot. Steam rises from the water. I open the window over the sink. I pull two bowls from the cabinet and place them on the counter. “I can cut some vegetables,” I say. “No, I’ll do it. I don’t trust you.” She washes green onions in the sink and dices them. The smell of the onions mixes with the smell of the rain outside. I turn off the burner and empty the pot into the two bowls. She picks up a handful of diced green onions and drops them into the bowls. She waves her hand in and out of the steam, and the steam hugs her fingers. “Yeah.” She scrapes off the eggs and slides them onto the noodles. I carry the bowls to the table. We talk about time, and meaning, and smallness. “I’m going to miss her,” I say as we walk home in the rain, our hands in our pockets. I wear a hood. She doesn’t have one. I trip and step in a puddle on the road. Water leaks through my shoes. She helps me back. We walk under streetlamps. The lamps light the sidewalk in vague circles. I hear cars one road over, but there aren’t any on this one. The sky screams. A plane flies over us from behind. It passes over the streetlamp and disappears into the clouds. “Look.” She points to the streetlamp. Back two steps. She points. I catch the rain off the light of the streetlamp. White lines falling in and out of sight, like snow. The roar of the plane is like an echo and fades as we watch the rain falling in the light. She steps out of the car and pulls her jacket close. She feels something fall on her cheek. He gets out on the other side. They walk toward the water together. The waves watch them as they approach. They spread a towel. “It’s going to rain,” she says. She yawns. She hasn’t slept much in the past few days. But she doesn’t close her eyes because she’s afraid that if she does she’ll fall asleep. And if she falls asleep she’ll miss it. Even without the sun, there’s still the sea and the strands of grass sticking out of the sand. She sits with her hands in her pockets. A strand of her hair catches in her mouth. Her hood comes loose. She walks toward the sea and stops just short of the water. It washes over the sand and over her shoes and recedes, leaving strips of foam, like tongues of seaweed, on the sand. She pulls the watch out of her pocket. There’s rust between the links. She thinks that maybe it counts the fifty-ninth second twice. The sea washes over her shoes again. She feels the water seeping in, suffusing her toes like a cloud of tea in a mug. It crawls up the sand and falls away. A wind drifts in from the ocean. “I have a gift for you,” he says and places an unwrapped cardboard box on the table. The box is small and cube-like. On the top in sharpie he’s written her name. She puts her book down and leans forward, looking but not touching. He fills the kettle and puts it on the stove. He pulls two mugs out of the cabinet. One of them is yellow and green, and its rim is chipped. He runs his finger over the chip. It flakes. The other mug is dark blue. The ceramic is uneven and glazed over. It’s cracked in three places, as if it had been dropped and broken, but the cracks have been filled with gold. He runs his fingers over the gold. She walks over and cups the mug with her hands. She puts it down, picks up the kettle, and pours water into the mug. He watches the water rise against the sides of the cup, above the gilded cracks. The mug doesn’t leak. She drops a tea bag into the mug, loops the string around the handle, and hands it to him. He nods and lets the warmth steep his fingers. The next morning the same old light bled through the clouds and between the spaces of the sun-bleached blinds where it died on the floor as “The Sad Cafe” played, and I turned in bed to silence the alarm. I thought of Heidegger–“Only a god can save us now.”–and of Faulkner–“I don’t. I don’t! I don’t hate it! I don’t hate it!” The führer and the fury, or its cousin. The sun neither sets nor rises. Instead we close our eyes and call it night while the earth is thrown by an abscess of light like moths by a flame who on passing too close fall from flight with torched wings, burning down the bowels of morality. I realized that I would one day go blind if I kept reading in the morning without my glasses, so I got up, stepped into a hot shower and tried to wash the weakness from my eyes. I dreamed I was wading barefoot down a river that led to the sea. I walked through knee-high reeds on stones contoured to the arches of my feet while guppies orbited my legs. I walked through a valley shrouded in fog, as the trees around me loosed their pine needles. I waded through water that continued to rise until I was wading neck-deep. Then the water rose over my head, and I held my breath and swam. My vision blurred, and I closed my eyes. When I came up for air, I was in the ocean and could not see land. Floating around me were objects. I saw a Ziploc bag with chocolates inside. Tangles of uprooted grass knotted together. Empty shaved ice cones. A violin bow. A Simon and Garfunkel album. And a photograph of a boy I used to know tied to a lawn chair beside the pool. I thought, What is this? The refuse of my past? And I saw a hard-covered book that I didn’t recognize. I swam over and opened it. Inside, flattened by the damp pages, was a moth. When I picked the moth up, its wings fell apart. I’m going to try something new this semester. I’m going to write a series of scenes throughout the year, which will be–or should be–thematically, if not narratively, continuous. I’ve decided to call it “Signs” for no good reason. The series will start with the next post. I just gave the Educational Testing Service (ETS) about $750 to take three tests and to send 10 score reports. I’ll be going to a conference in Coeur d’Alene, Idaho in about two weeks. Takeaway: My friends and I have compiled an 11-hour playlist to listen to on the drive there and back. 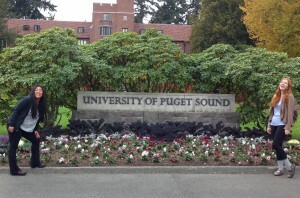 Also: The National Conference on Peer Tutoring in Writing is coming to the University of Puget Sound the same weekend. There are rumors about a new writing handbook called Sound Writing going around. I don’t know much about it, but I hear it’s free and has super cool graphics. I recently read some good books. Alexander Chee’s Edinburgh, Percival Everett’s Erasure, Avishai Margalit’s The Ethics of Memory, and Jean-Pierre Dupuy’s A Short Treatise on the Metaphysics of Tsunamis come to mind first. Up next: Colson Whitehead, Michael Ondaatje, and Suzan Lori-Parks. Bruce Hornsby’s Halcyon Days gets me through the week. Also, Little River Band. And I recently rediscovered this amazing duet between George Michael and Elton John. I’m always tired but never seem to do anything about it. Love my bed more than most things right now. Sleeping with two blankets now. And still with the fan. Getting sick of burritos. Will reconsider. The other day I walked to church. It was windy, so I walked with my hood pulled over my head. Puddles had formed in the sides of the street and leaves were floating in the puddles. A man sat on the sidewalk underneath the sign of a CD store. His shoes were torn around the soles and his toes were sticking out. He held a piece of cardboard, asking for money. I saw a rotting banana peel on the ground next to him. I made eye-contact with him. He pointed to the sign. I shook my head. He let his head roll onto his shoulder and I kept walking. I got to church early. I walked into the chapel and found my usual seat in the fifth row. I sat and looked at the purple and green stained glass windows. I ran my fingers over the back of the pew in front of me. The wood was smooth and cold to the touch. I breathed into my hands and rubbed them together, then stuffed them into my pockets. During worship, a woman sat next to me. After she had taken off her jacket, she straightened and began to sign in sign language. She was signing to the lyrics of the songs. I didn’t turn but watched her movements from the corner of my eye. She altered the positions of her fingers in succession, flicked her wrist, and, every so often, touched her forehead. At times, she resembled a conductor; at others, she looked like a typist. She signed to the melody of the song, which made me realize that, of course, she could hear. She just couldn’t speak. When the pastor asked us to introduce ourselves to our neighbors, I turned away from the woman who had been signing. I didn’t know how to introduce myself and how I would learn her name. I shook hands with everyone around me. Then I sat down and stared at the communion cups stacked on the backside of the pew. The woman touched my shoulder. She had brown hair and brown eyes, and I could see the gold chain of a necklace hanging off of her collarbone. She smiled and held out her hand. Her wrist was thin and on its underside I could see veins. I stood and shook her hand. She nodded. She could hear. She smiled and signed her name to me. I could pick out four discrete letters, or signs, but couldn’t read them. I shrugged. I checked around for a piece of paper and a pencil but couldn’t find one. She held out her hand as if wanting me to take it. I raised my hand and held it next to hers. She grabbed my hand and stepped closer. I let my arm slacken. She propped it on her arm and held my hand in the nook of her elbow. Then she pushed up my sleeve and, using her finger, traced her name on my arm. She traced slowly and in capital letters. Her nail ran over my skin and over my veins. “It’s nice to meet you,” I said, offering my hand. She smiled and nodded and shook my hand and signed something to me.